"Name another book that re-creates for you the atmosphere of a country in a particular season and say why you chose it." Please leave your answers in the Comments section below. My brother Graham inherited a kilt from our father's uncle Andrew. It was made to last forever, and so it would have done if it hadn't been for the moths which turned it eventually into a fine lace. Very many thanks for your wee note from 2 Balmoral Place. I have just had a letter from your Father. So convey to him my thanks. I came out the trenches at 1 am this morning and arrived here about 4.30 a.m. after 4 days and 4 nights in. We had to find our way back, over unknown ground by compass. I am now in a French Farm so am very comfy. Well Clelland write me a letter whenever you feel inclined. Give my love to all at Lurland not forgetting yourself. The kilt eventually came to me - or what was left of it. Reluctantly, I took my scissors to it, hoping to salvage some useful bits. It was hard work. The woollen serge was so thick that it was quite hard to cut. In the same bag was Uncle Andrew's sporran. I put it aside, and it was only a few months ago that I opened it for the first time. 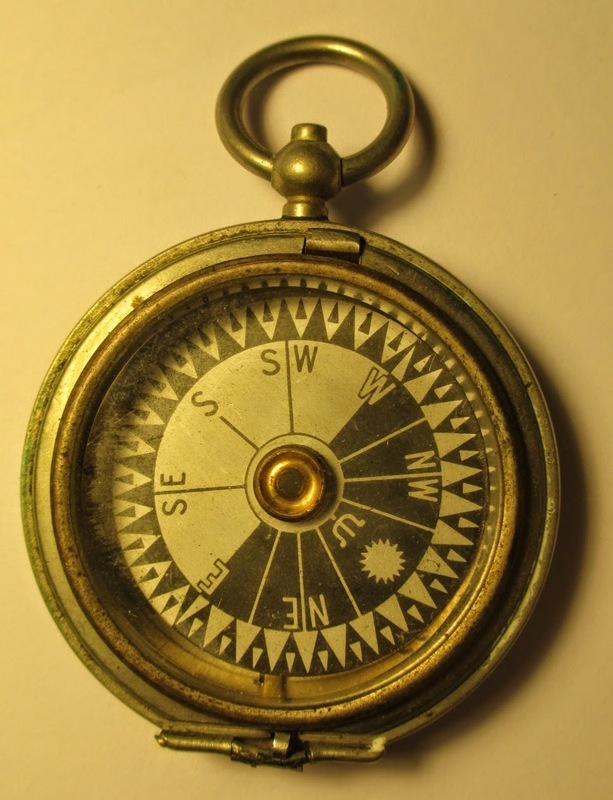 In it I found his compass. Was it the same one he mentions in his letter? I suppose it must have been. On the back is an arrow mark, showing that it was government issue, and below that is the date. 1916. 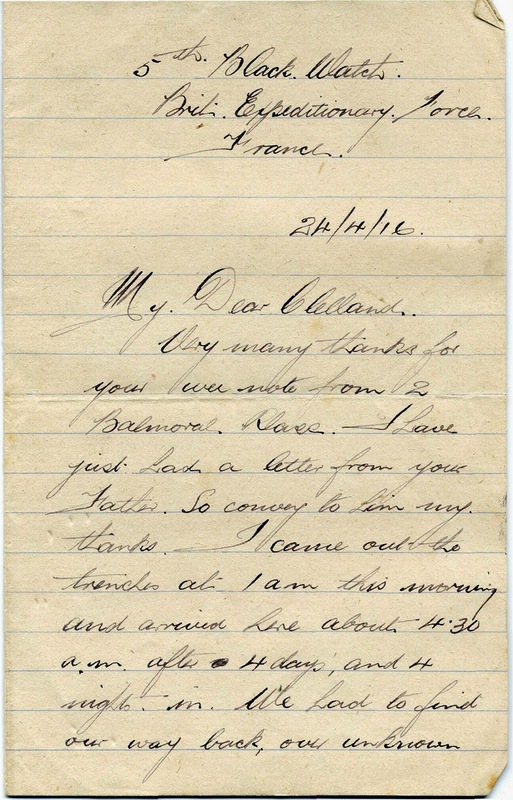 Shortly after Andrew wrote this letter, he was transferred to the Royal Flying Corps. He can't have had much time to become an experienced pilot, and his plane was lost over the Somme in November 1916. He is buried in the vast military cemetery at Varennes, along with so many thousands of other young men. 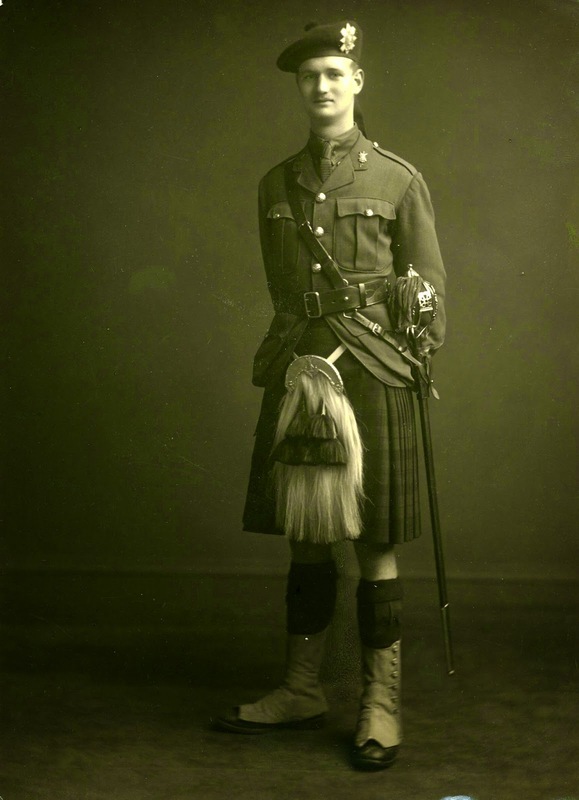 The inscription reads "Second Lieutenant Andrew Clark Laird, the Black Watch, Attd Royal Flying Corps 22nd November 1916 Aged 22." I mistrust the patriotic hoo-ha over the centenary of World War One. It was a horrible, unnecessary, insane massacre of the innocents - and it was a long time ago. I really don't want, ever, to read another novel about the awfulness of trench warfare. I keep my memorials of Uncle Andrew, his letter, his compass and his medals, in a drawer and show them to young relatives from time to time. But I like to think that Uncle Andrew, and the millions who died with him (including my mother's uncle John) would prefer us to look forwards rather than back. Instead of re-imagining old wars in which we were self-righteously victorious, they might have encouraged us, if they'd had the chance, to pay attention to more recent wars for which we the British have been responsible, to do what we can to understand the causes of modern conflicts and fight against the ignorance and prejudice which give rise to lethal hatreds. 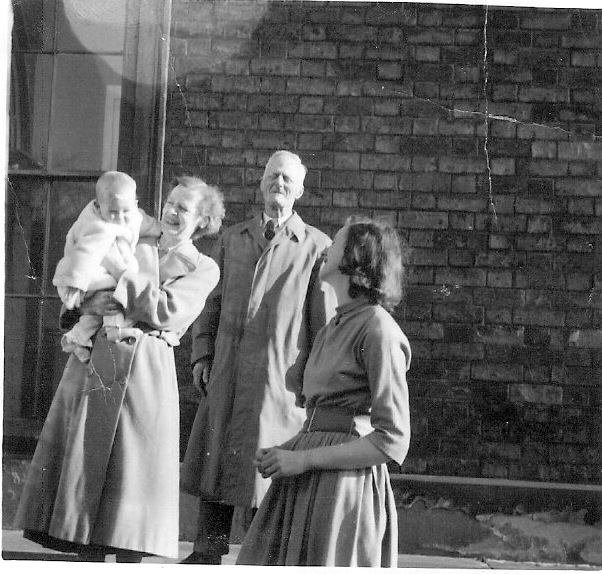 A while ago my friend Patrick Gale, who I met at a reading a million years ago, when I was a tiny newbie and he was a glamorous experienced well-known writer, mentioned an ancestor of his, Harry, who had had to go to Canada at the start of the 20th century, and it wasn't clear why, or who had made him. Nothing gets us going like a family mystery, and his mother's Cowboy Grandpa, who fought Indians, built log cabins, slaughtered bears with his bear hands and so on, was a perfect one. Plains Cree garments and bearskin mittens in the dressing up box backed up the tales. 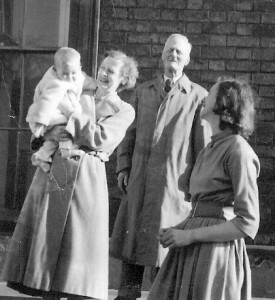 And many years later, Patrick came across a little handwritten memoir, from which he hoped he might learn why his grandmother had been brought up by aunts and uncles after her own mother's death, and why his great grandfather was never spoken of. Well, he found out all sorts of things: that Harry and his brother had married two sisters, that his great-grandmother had been in love with another man at the time of the wedding; that some family members were rather controlling. A fortune was inherited but money ran short, the baby was born, and then Harry was obliged - but why? - to head out to the wild wastes of Canada. And why without his wife or child? And why, after his wife's premature death, was their daughter not sent to join him, nor even encouraged to keep in touch with him? 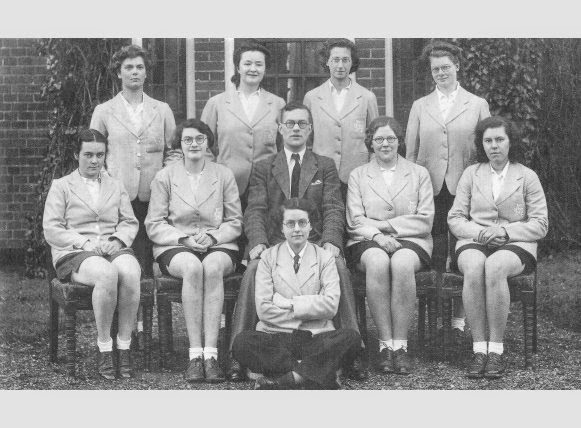 And when Harry visited the UK in the fifties, why was no bond kindled? Why, as an old man, did he return alone to Canada? What novelist could resist? 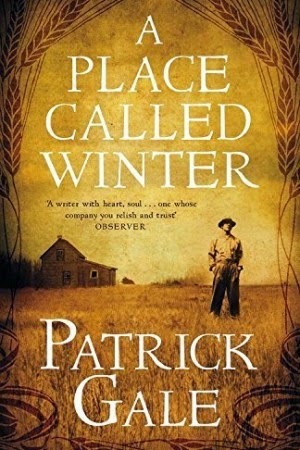 What Patrick did with this half-formed tale was to find out all the facts - he took a long research trip to Canada and found Harry's homestead, still a working farm, near the town of Winter, now a ghost town. But what he really needed was the emotional heart of the story - the why. The one he found was simple, completely believable and utterly tragic. If Harry were gay, everything falls into place: the secrecy, the shame, the bloody old-fashioned Englishness of it all. As somebody once said, 'There'd be no skeletons in closets if we didn't put them there.' Patrick takes out the skeleton of his great grandfather and gives him, in A Place called Winter, a terrifying and profoundly sympathetic story which makes the modern person gasp with gratitude that we don't live then, while having to acknowledge that actually, across our modern world, there are many places where things are no better now at all. Patrick calls it a cross between Maurice and Brokeback Mountain - but like all of Patrick's novels it has a complex and understanding web of human relationships, and alongside the love story, three very different women help Harry to really learn who and what he is as a man. I hugely recommend taking a look for yourselves. You could start with the two excerpts below. From Jermyn Street Harry wandered down through St James’s to the park and then up on to the Strand. He went into a chemist’s shop and bought a small bottle of laudanum and, because it looked alarming on its own, a packet of blackcurrant pastilles in a pretty tin. He leant against a shopfront, uncorked the bottle and sniffed the contents, which smelled of alcohol and cinnamon, then remembered the stuff had to be taken in water. There was a Lyon’s corner shop nearby, so he went in there and asked for a pot of tea and a glass of water to go with it. Experimentally he added just the recommended number of drops to the water and knocked them back. It tasted bitter, rather unpleasant, but it was only right that death should. Given time and the right space in which to do it – a quiet corner of a park, perhaps – he could imagine tipping in the whole bottle and gulping it down. How much worse would it taste? And did it matter, since he’d be dying by then? A current of warmth began to surge through him to the top of his head, and suddenly everything seemed to slow down, the bustle of horses and buses in the street, the chatter of people and clatter of china and cutlery at the tables around him. It seemed as though all the joints in his body relaxed, every ache, even the memory of how an ache felt, lifted away. He could quite easily have lain his head on the table before him and fallen asleep. Then he noticed a crowd on the pavement opposite. They were milling around the window displays of a place that clearly had been a shop but now, instead of a shopkeeper’s name, announced CANADIAN EMIGRATION in large letters. Curious, doing his best not to slur his words, he paid for the tea, left the laudanum bottle behind, merely smiling at the nippy who called after him holding it up, and crossed the Strand for a closer look. It took him a while to press through the crowd. There was a model of a farm – a pretty wooden house with a veranda and gingham curtains – surrounded by an ingeniously simulated field of golden wheat, and above it an announcement he could not quite believe, of free land. One hundred and sixty acres could be had, it said, for nothing but three years’ partial residency on them and what sounded like minimal work. He read all he could of both window displays – the second had a similar announcement above a model train encircling a placid herd of identical cows – then pushed inside, queued to speak to a clerk and was sent away with a brightly coloured leaflet about homesteading in the Last Best West. It gave advice about shipping lines that sailed to Halifax from Liverpool and a list of outfitters who could equip him for the adventure. One of these was at the other end of the Strand, near the Savoy, as was an agency for the shipping lines. The outfitter, already used to such enquiries, handed him a list that was remarkably like those he and Jack had to tick off when packing for school. Dress suit, he read. Best tweed suit. Tennis suit. One cloth suit of ‘leather suiting’ and extra trousers for same. Three suits hard in wear. Cord trousers two pair. Ulster coat. Pea jacket. Mackintosh. Dressing gown (useful as extra warm garment in extremis). Flannel shirts twelve. White shirts two. Flannel pyjamas four. Winter and summer drawers – four pair apiece. Four vests. Twenty-four pair socks. Six collars. A cholera belt. An India rubber bath. Portmanteau for cabin. White cravats and cuffs. Cardigan. Two jerseys (Guernsey knit for endurance). Twelve pocket handkerchiefs. Six Turkish towels. Waterproof sheet (large and of best quality). Pair large blankets. Rug. Six pair dress gloves. Three pair hedging and ditching gloves. Two pair Canada mittens. A housewife with buttons, needles etc. including saddlery needles and waxed thread. One pair boots. One pair high boots. Dress shoes. Unnailed shoes. Slippers. Ambulance braces. Helmet of Jaeger wool. He had absolutely no idea how Canadian mittens might differ from the English variety and was faintly alarmed at the prospect of a cholera belt, whatever that might be, but reading the list evoked the adventure pleasantly even before it was under way. As summer turned to glorious autumn, Harry bought himself a gun and learnt to shoot rabbit and duck, which Jørgensen showed him how to prepare for the kitchen, and his wife and Annie how to cook. He had worried that Jørgensen might renege on their handshake and ask him to move on with the coming of winter, not wanting an extra mouth to feed when there was less for a hired hand to do about the place, but his fears were groundless. Jørgensen still made good use of him every day. Until the snows came, there remained ditches to keep clear, fences to mend, and winter supplies to collect and store. And once snow lay thick around the place – shoulder deep or more where it blew into drifts – the animals still had to be fed and bedded in the barns, and ice melted for them so that they could drink. There was dung to be forked from the barns before it froze like rock, and logs to be piled for the kitchen stove. And of course there was always snow to shovel, snow of a texture and depth he would not have thought possible. As for the cold, he had never experienced anything like it: a dry, iron clamp upon the land, like death itself, full of unexpected beauty, like the hard crystals that formed on the inside of the windows. The cold did something strange to the quality of sounds around the farm, deadening all background noise so that the smallest scratching or whisper was emphasised. It was easy to see how the unwary settler could die in such a scene, lulled into marvelling at its deadly beauty even as his blood began to freeze. Just once Harry lingered outside as a blizzard got under way, amazed at the scale and savagery of it, but was furiously dragged indoors by Jørgensen and given a lecture about losing fingers and toes to frostbite and the impossibility of getting a doctor out until spring. Winter had come on them suddenly, whereas spring arrived by slow, unconvincing degrees, far later than he’d have expected. What Jørgensen called chinooks, warm winds from the western mountains, arrived and began to shrink the snow into patches of dirty ice rather than melting the lot overnight the way warmer weather would have done at home. A thaw was announced with loud cracks around the place before it turned all Harry’s laboriously cleared ditches to so many little canals. With the spring melt came a flurry of unexpected visitors, as neighbouring households emerged from the long freeze like so many bears, hungry for news and less familiar faces and other people’s baking. Mrs Jørgensen cursed these visitors, who often arrived at the least convenient moment, when she had her hands full of chores or nothing but leftovers to set before them, but she welcomed them, too, being as hungry for faces and talk as anyone else. 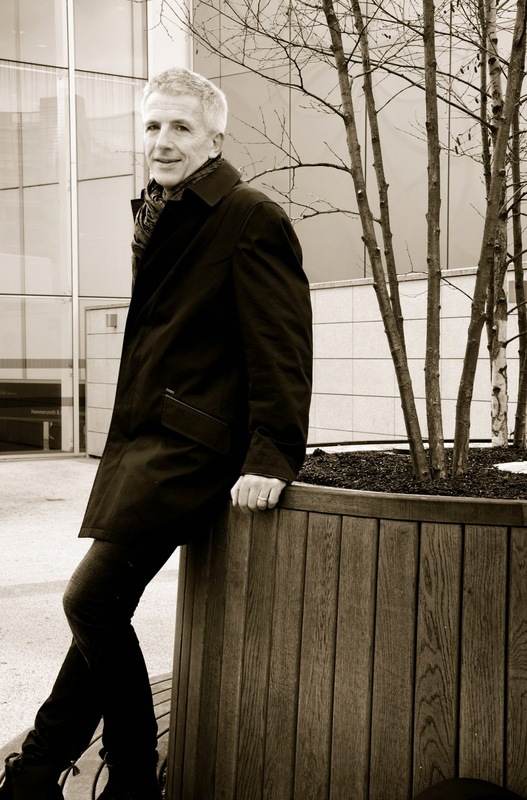 Patrick Gale was born on the Isle of Wight in 1962, raised in Winchester, where he studied at the Pilgrims choir school and Winchester College; he then read English at New College Oxford. He lives on his husband’s farm near Land’s End and is a keen gardener and cellist. He is a director of the Charles Causley Trust and the Cornish arts and spirituality charity, Endelienta. He chairs the North Cornwall Book Festival and is secretary of the Penzance Orchestral Society. He has written fifteen novels, including the bestselling Rough Music and Notes from an Exhibition. His fourteenth novel, A Perfectly Good Man, won a Green Carnation award and was a favourite recommendation among Guardian readers in the paper’s end of year round-up.. His latest novel, A Place Called Winter, is a Radio 2 Book Club selection. He is currently writing an original, gay-themed, part-historical drama for BBC1 called Man in an Orange Shirt, and adapting Edith Wharton’s The Age of Innocence for BBC2. 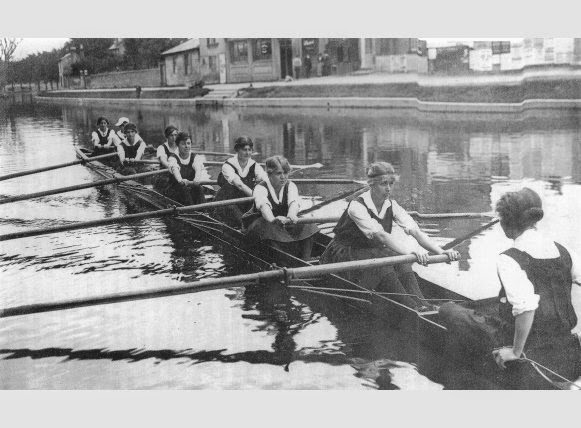 Although held intermittently since 1927, until recently the women’s race has been seen as the rather feeble younger sister of the famous men’s race. 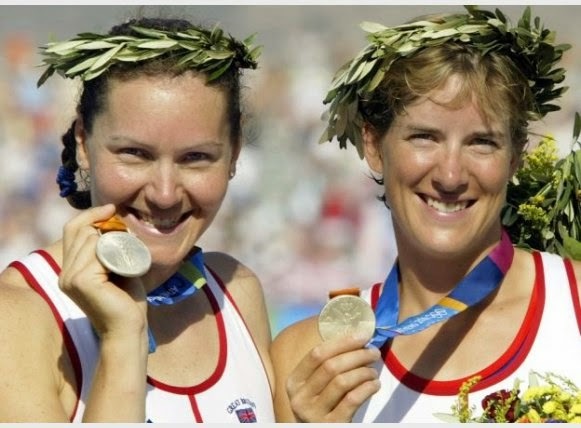 However this year the two women’s teams will follow the same tough 4.2 mile (6.8km) course on the Tideway - the powerfully tidal stretch of the Thames in London - from Putney to Mortlake, rather than the separate 1.25 mile (2km) stretch of the calm waters of Henley to which they have previously been relegated. Merci pour les fleurs, as they say in France. A Tiny Quiz by Louisa Young. We hear so much about the hatchet jobs, the insults, the meanness and jealousy. Only today on Facebook one author was complaining about another calling him a ladypart, and a journalist was having the vapours in her misunderstanding of John Crace's satires in the Guardian - how dare anybody be mean about the sainted Robert MacFarlane? Pah. I wish everybody would just be nice. Well, I kind of do, until I check the magnificent, virtuosic rudeness writers can produce for each other. So today I offer you another Tiny Quiz. It comes in two parts: Insults and Compliments. Who said this about who? They're all by writers, of writers. Two: Who said these wonderful things, and about who or what? Why was it so much harder to find compliments? I wonder. 11) Bennet Cerf on Coleridge, Poe, Marlowe, Pope, Chatterton and Byron. I have been focusing quite a bit on war recently so I thought for this month’s blog I would choose a subject that is closer to home and of a lighter aspect. A love story. This true story is set along the Côte d’Azur, the Blue Coast, but it began in the north of France in Lille. In 1908 in the town of Hazebrouck near Lille a boy, Aimé, was born to a railway employee and his wife, Monsieur et Madame Maeght. At the outbreak of WWI, Monsieur Maeght set off for the war never to return. Worse, the family home was destroyed. Aimé, now six years old, along with his mother and three siblings, was evacuated to the Gard in the south by the Red Cross. Aimé was bright and he was passionate about art, poetry and music. After a brilliant school career, he attended art school in Nimes, but he decided he could not pursue his artistic ambitions because he had the responsibility of his family to consider. He turned instead to the printing trade and decided to study lithography. Once he had gained his engraver’s diploma, he had no difficulty finding himself a job with a printer in Cannes. 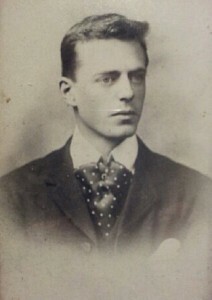 He was twenty-one years old with, it is reported, “spades of charm”. He joined the choir in the church in the Suquet. Within a year, he had met a local girl, Marguerite Devaye. She was the daughter of wealthy trades people. They married the following year. He was twenty-three. She, nineteen. In 1930, Adrien, their first son was born. Their lives were blessed. Aimé was bursting with ambition and plans. In 1932, whilst still empoyed at the same printer’s, he opened his own shop near to the famous seafront, La Croisette, and christened it Arte. He began exhibiting paintings in the window. Soon, Aimé’s print shop was also a gallery. Pierre Bonnard, who lived in the hillside village of Le Cannet overlooking Cannes, visited the gallery and requested of Aimé that he colour his lithographs. Bonnard’s request was the turning point in Aimé Maeght’s life. A friendship between them was born. From hereon, the greatest names in modern art frequented Aimé and Marguerite’s lives. When the war broke out, Aimé discreetly put his printing presses at the services of the Résistance, whose leader, Jean Moulin, opened a gallery in Nice as a cover for the underground work he was doing. In 1943, when Jean Moulin was arrested (he died from wounds inflicted by the Gestapo on a train to Germany), Bonnard begged the Maeghts to move inland. Their second son, Bernard, had been born the year before. 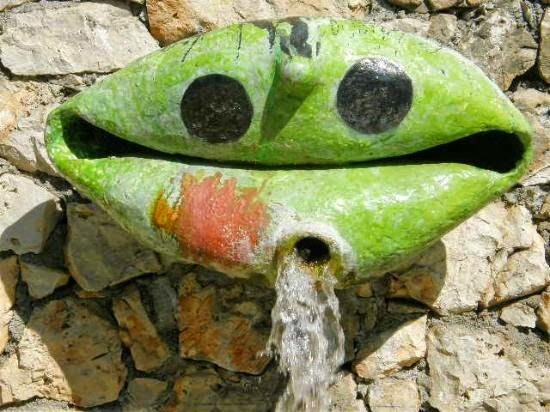 They moved to Le Mas des Orangers, a villa outside Vence. Henri Matisse was a near neighbour. 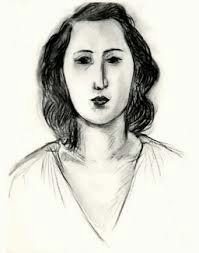 Marguerite sat for Matisse for a series of charcoal paintings. After the Liberation, the Maeghts, encouraged by their celebrated friends, opened a gallery in Paris, the renowned Galerie Maeght. Aimé soon became one of the twentieth century’s most respected art dealers and art publishers. The Maeght lives were blessed, until tragedy struck. "Create something that will live on after you…" encouraged Braque. Whilst in the United States, the couple visited the private art foundations of Guggenheim, Barnes and Phillips and were very impressed. Although still deep in grief they decided, upon their return, to build a property near their home to house their private art collection. At that time, they were not intending it to be open to the public. It was to be a haven for artists, writers, poets; somewhere to congregate and share their ideas. 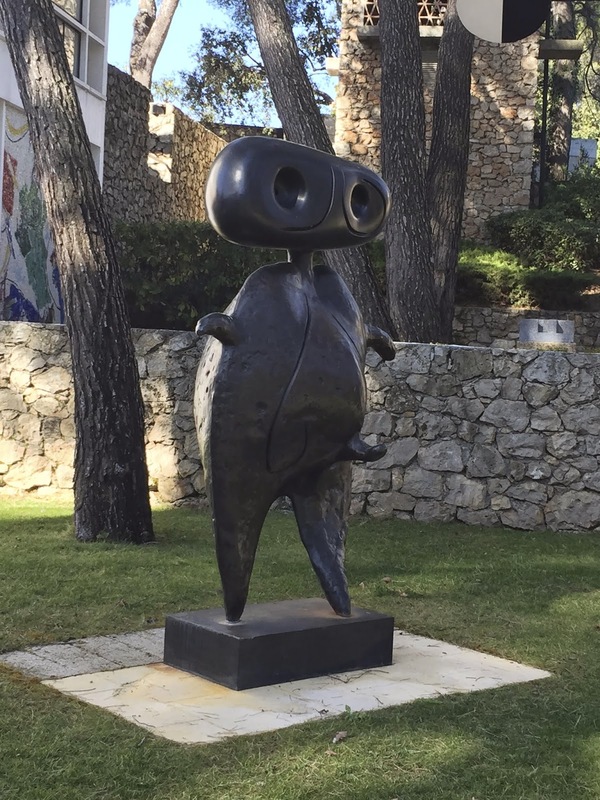 Miró and Braque in their different ways encouraged the Maeght couple to create a space where exhibitions could be held, where young, lesser known artists could also participate. "The night gradually rises from the hills of Provence, all the way to Miró's Fork and Devil," wrote André Malraux. A beautiful pine-clad hillside outside the village of Saint-Paul de Vence is the location. The Catalan architect, Josep Lluis Sert, who had just finished designing a studio for Miró in Mallorca, was brought in to assist. However, the local prefecture refused the planning permit. It was only when the Minister of Culture, André Malraux, stepped in that the project was given the green light. Malraux, a writer himself, was a man of passion and vision. One astounding moment during the preparations for the foundations was the discovery of a ruined chapel on the land. Marguerite saw this a good omen. 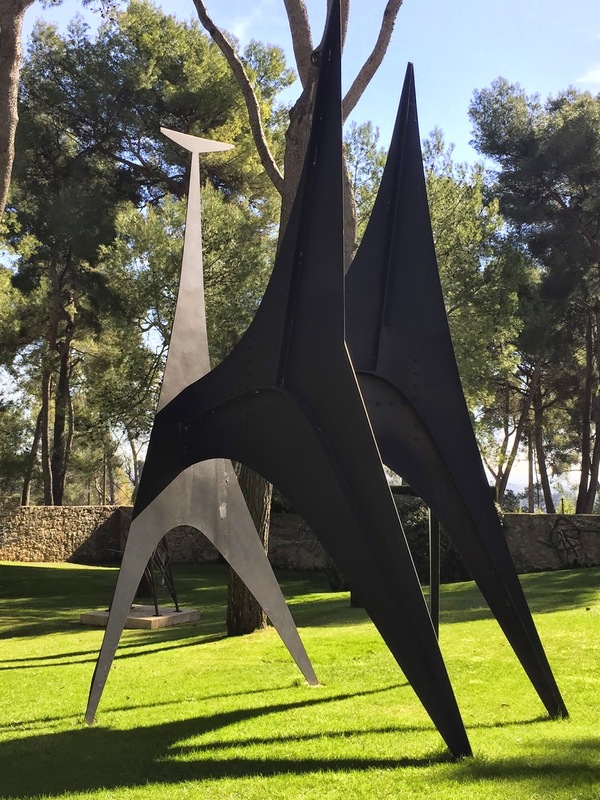 The Maeght couple restored it and it has been integrated into the labyrinthine structure displaying splendid stained glass windows designed by Braque and Raoul Ubac. It is the Chapel Bernard. The construction took four years. Artists and workmen picnicked together regularly on the site. Sadly, Braque died the year before completion. On the 28th July 1964, the Fondation Maeght was inaugurated by André Malraux (also a former member of the French Resistance) who in his opening discourse declared, “this is not a museum”. An accurate observation: It is indeed an indoor/outdoor structure created by the artists and architects themselves, a Mediterranean playground full of joy and colour. A marriage of art and nature. 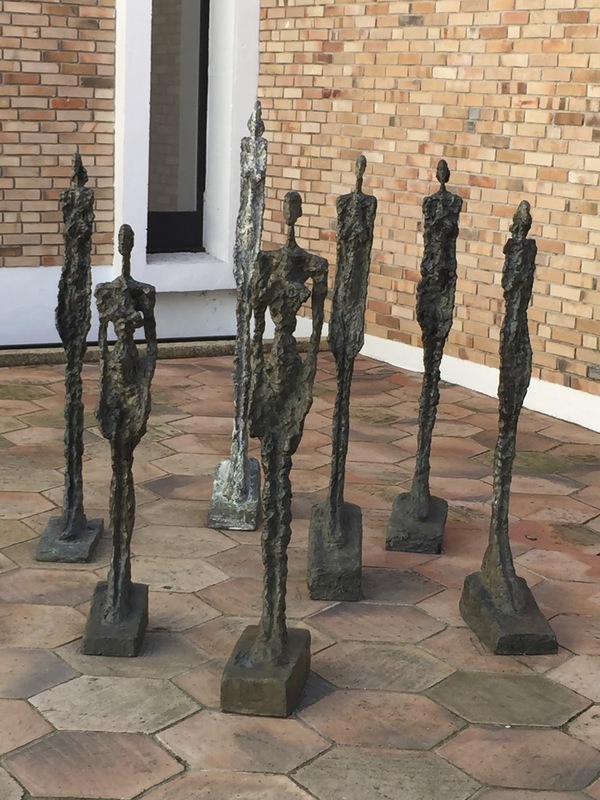 The inauguration dinner was held in the Giacometti courtyard. Ella Fitzgerald and Yves Montand were the evening's concert. The Maeghts had financed everything themselves. It is their monument to their departed son, Bernard. Today, its director is Adrien Maeght, older brother of long-deceased Bernard. Earlier this week, while still waiting for editorial input on The Last Domain, I decided to give myself a treat. It is spring here, full-blown. warm and flower-filled. 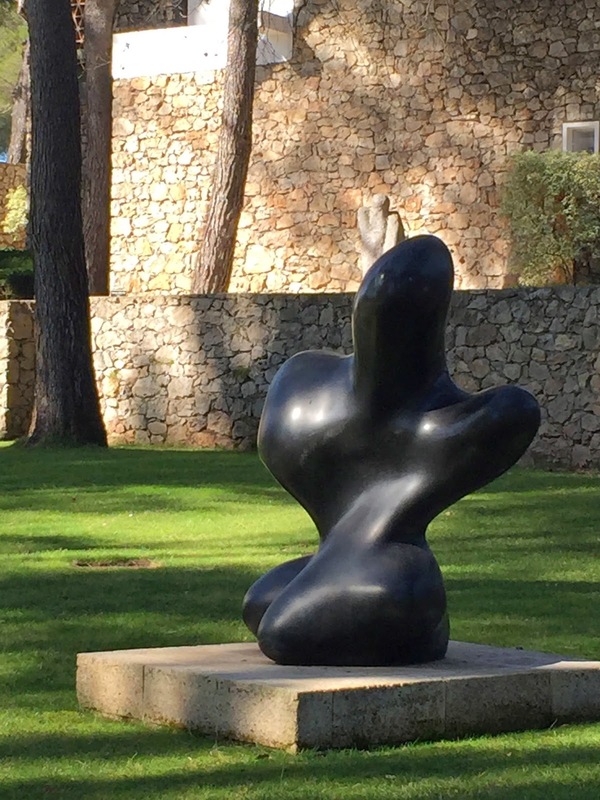 A day out on my own seemed long overdue, so I set off for the Fondation Maeght, situated a ten-minute walk outside the ramparts of the medieval village of Saint-Paul. It is in the final throes of celebrating its fiftieth anniversary last year. Here follow a small selection of the photographs I took at this serene and magical place. "Yes, my dear Joan, we will create a unique work in the world that will remain in time and in minds as evidence of our civilization, that through wars, social and scientific upheavals will leave humanity one of the purest spiritual and artistic messages of all time. These are the stories I want to make visible to the generations that follow us and to show our grandchildren that in our very materialistic age the spirit remained present and very effective thanks to men like you." Marguerite Maeght died in 1977. Aimé Maeght followed her, his most loyal ally, on 5th September 1981. Both are buried in the cemetery of Saint-Paul de Vence. Chagall lies nearby. Alongside her octogenarian father, Adrien Maeght, Aimé and Marguerite's granddaughter, Isabelle, presides over the foundation now. It remains a family affair. And, in my opinion, an inspirational love story. The Zone of Interest is a terrifying book by a writer who inhabits his subject with passion. The foul details of the Nazi death camp at Auschwitz Birkenau (called Kat Zet in the novel), are gut churning in their reality. Only the sickest imagination could have conjured up the scenes Amis portrays, but no imagination brought them into being. This is not a fantasy. The horrors are real. The Zone of Interest is a historical novel, written with respect for its terrible subject. There are few linguistic fireworks in this book, and the writing forbears to draw attention to itself. Any humour is subtle, and arises from the manifest absurdity of the Nazi project and the monstrous buffoonery of the camp commandant, Paul Doll. But The Zone of Interest is also a love story, and the reader is forced into feeling some empathy for the main character, Angelus Thomsen, the nephew of Martin Bormann, a cynic and womaniser who becomes disenchanted with the Nazi regime as he becomes erotically obsessed with Hannah, the camp commandant's unhappy wife. The character of Szmul, the head of the Jewish Sonders, whose job it was to clear away the ghastly remains of the murder machine, remains understandably more opaque. There was a place here where even Amis did not dare to go. The subject of the Shoah has been treated in recent novels with sentimentality that belittles the horror. 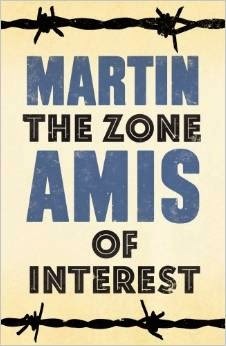 It is a subject that deserves only the greatest reverence and respect which Martin Amis accords it in this unforgettable novel. 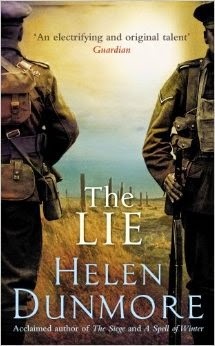 In The Lie, set straight after the First World War, Helen Dunmore delves with great sensitivity into the enduring trauma of guilt and grief that so many survivors had to suffer. Daniel Bramwell, a young man without a family, returns to his native Cornwall for want of anywhere better to go. He is given a rudimentary shelter by Mary Pascoe, an old woman in her last illness, and he sets about growing vegetables on her patch of land. When she dies, he follows her request and buries her in her own garden. The small lies that he is forced to tell become greater and greater and soon dominate his life. 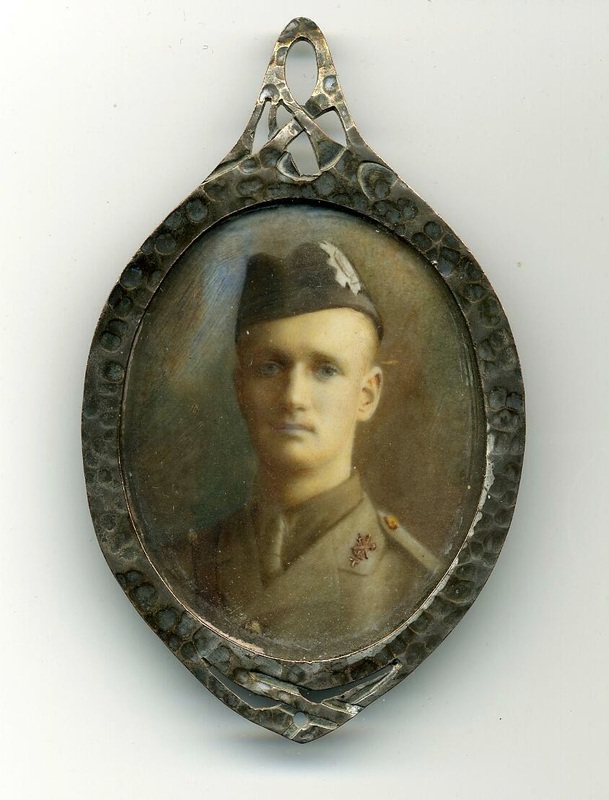 Suffering from guilt and shell-shock, Daniel is haunted by his memories, particularly by his failure to save the life of Frederick Dennis, his childhood friend and "blood brother" who had become his commanding officer. 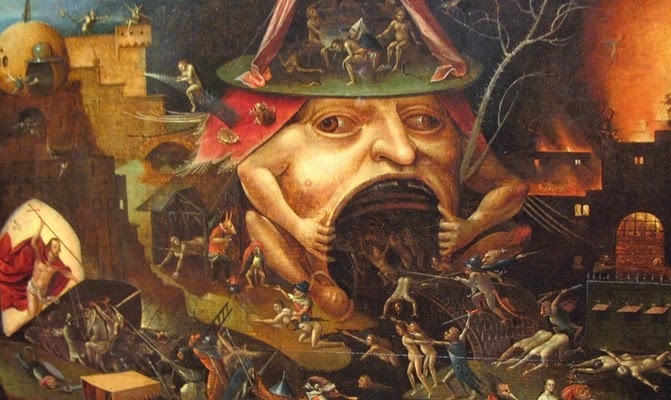 Frederick appears to him in nightmares, reeking of earth, "exposed in all its filth, corrosive, eating away at the bodies that had to live in it." But there is more than horror in this novel. 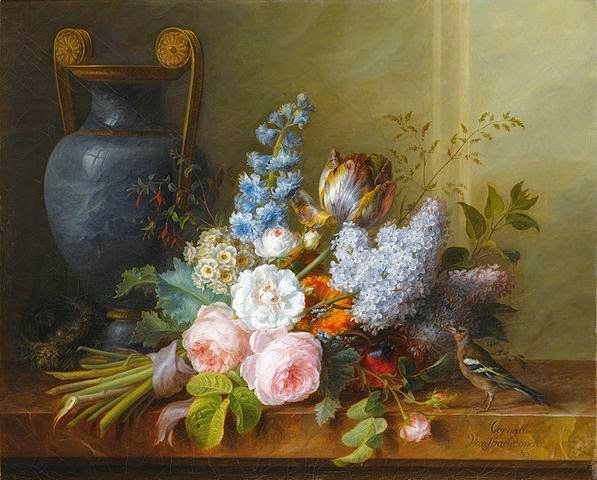 There is tenderness in Daniel's care for old Mary Pascoe, in his attempt to bring her garden back to life, and above all in his growing friendship with Felicia, Frederick's sister, who is herself wounded by grief and loss. Venetia Stanley was one of the great beauties of Charles 1st's court. Painted by Van Dyck and celebrated by Ben Johnson, she had all the star quality of a Marilyn Monroe or Lady Diana of a later era. 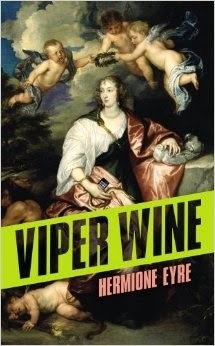 But as she reached middle age, and her beauty began to fade, she went to desperate lengths to try to preserve it, recruiting the charlatan physician Lancelot Choice and becoming addicted to his potion, Viper Wine. There's a terrific verve to this exuberant and inventive novel which hurtles along at a thrilling pace, sweeping into its embrace great characters from Charles 1st's court, such as Venetia's husband, the alchemist Sir Kenelm Digby, Cornelis Drebbel, the eccentric inventor who launched a submarine into the Thames, other great beauties at Court, notable lords of the time and King Charles and Queen Henrietta Maria themselves. Opinions will be divided on the eruption of the twentieth century into the text, via special powers enjoyed by Venetia's husband Sir Kenelm, but they are all part of the fun in this youthful and hugely enjoyable novel. A new novel by Adam Foulds is to be keenly anticipated, and this one fulfils all expectations. His spare, sharply observed writing brings to life a moment in Sicily at the end of the Second World War, when the Allies unwittingly facilitated the return to power of the Mafia, which Mussolini had strenuously attempted to suppress. The novel opens on a remote and rocky hillside, where Angilu, a young shepherd, is forced to surrender his sheep to Ciro Albanese, a local Mafioso. The old cards of corruption and connivance are reshuffled as the Allies arrive to liberate Sicily from the Fascists. Will Walker, an English officer, and Ray Marfione, an Italian American soldier, struggle to understand what is happening in the country they are occupying, their efforts impeded by incompetent superiors. Adam Foulds has spun an intricate web of lives, in which the forces unleashed by war draw everyone out of their familiar worlds. Forced to operate in strange and shifting circumstances, the characters each bring with them the baggage of the worlds from which they come, and inevitably collide in misunderstandings. Arctic Summer is a book of profound compassion and sensitivity. It recreates the inner life and emotions of Morgan Forster (E.M.Forster), his yearning for romance and affection, and the lonely agony of being homosexual (a "minorite" in Forster's words) in a hostile and unsympathetic world. 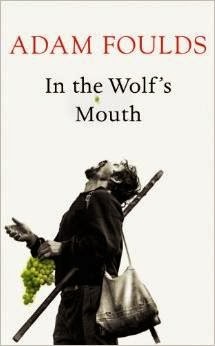 The book draws heavily on Forster's own diaries and letters and Galgut's depth of research is impressive, but it is a novel, not a fictionalised biography. The long, unproductive years between Howard's End and A Passage to India are fully imagined, and the characters who inhabit Forster's life and emotions are vivid and touching. The novel follows Forster's slow progression towards the writing of A Passage to India. He embarks on a journey to India to visit his Indian friend Syed Ross Mahmood. His love for Syed is unrequited, and this is a relationship that can never satisfy him. There is more affection in his affair with an Egyptian tram conductor, Mohammed el Adl, and the scenes in both India and Egypt are vividly evoked. It was on his second visit to India that Forster began to understand the corrupting effect of power on love, as he struggles with his feelings for a barber at the court of the Maharajah of Dewas. 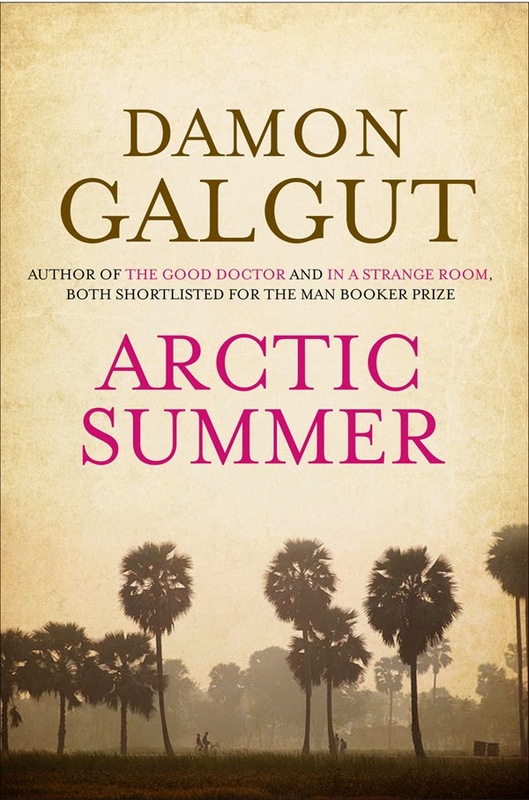 Galgut shows how Forster's emotional journeys are preludes to the writing of A Passage to India, surely one of the most profound studies of colonialism, power and love ever written. 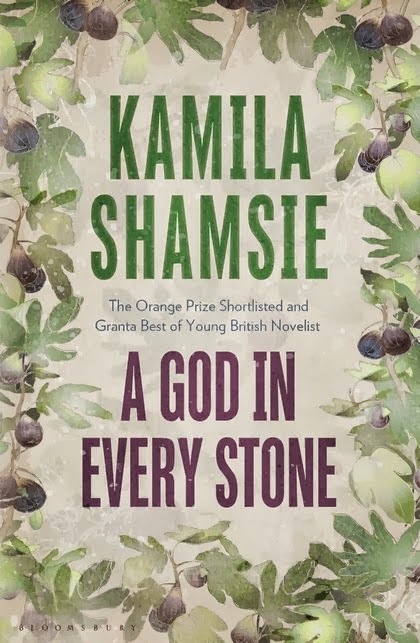 The mark of a novel worth reading must surely be that it plays out a moral argument, and A God in Every Stone achieves this with vigour, passion and style. It careers along with unstoppable momentum, scooping up characters, attitudes, places and ideas and meshing them into stirring political events in Britain, the Ottoman Empire, and India. The story opens in 1914. 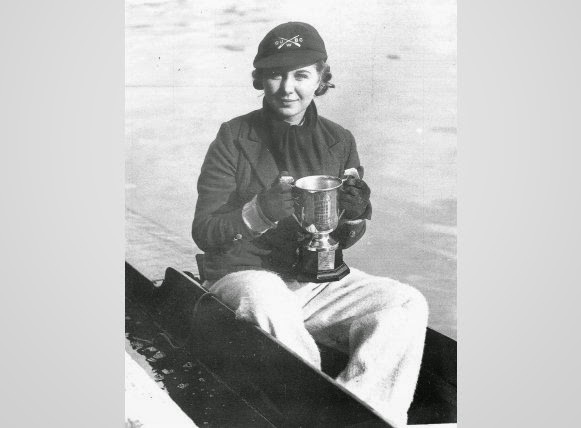 Vivian Rose is a young Englishwoman who is in love with Tahsin Bey, a Turkish archaeologist. Following a hint he had sent her, she travels to Peshawar. There her life becomes entangled with two men, the former soldier Qayyum Gul, who has returned wounded and angry from the horrors of trench warfare in France, and his young brother Najeeb. As the push for Indian independence gathers momentum, the characters find themselves forced to take sides in the struggle. Here Kamila Shamsie shows her true understanding of what it is like to live through violent civil unrest. Events, like shards of broken glass, are fragmentary. They follow each other at frightening speed, and it's only afterwards that the pieces can be put together and some kind of picture revealed. At its heart this is a story of betrayal, broken loyalties and the crumbling of empires under the onslaught of war, big themes brilliantly illuminated in this ambitious novel. The central character of this mesmerising novel is Wang Meng, a bureaucrat who lived in the fourteenth century during the final years of the Yuan dynasty, as a new Ming emperor swept away the old and brought a new dynasty to power. But Wang Meng was also a master painter, some of whose exquisite landscape paintings are still treasured in China today. Wang Meng sought a quiet life, wishing to devote himself to the creation of works of art, a process which John Spurling follows in passages of serene beauty. But China is in turmoil and the artist is inevitably pulled into the maelstrom, meeting along the way powerful characters such as the White Tigress, a warrior queen, other master painters devoted to their art, and a restless young monk who will rise to the heights of power. Others spring to life: Wang Meng's beloved servant Deng, Jasmine the good-time girl, and the Emperor Zhu himself. 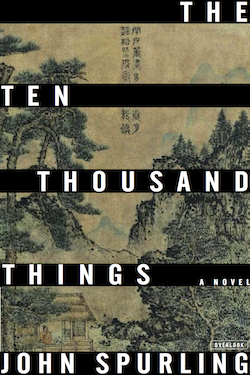 In spite of the stirring events it portrays, there are no literary histrionics in The Ten Thousand Things. The writing is spare, enriched with perfectly placed details and a vivid sense of place, so that fourteenth century China unrolls before us like one of Wang Meng's painted scrolls.